When we saw these candy cane lollipops on Pinterest, we thought they looked absolutely impossible. The pictures were cute (our picture is on the left, the original pin is on the right), but there were SO many things that could go wrong! However, the original pin claimed that they were “easy-peasy,” so we thought we would do what we do best and call shenanigans! Our finished product is pictured below. As you can see they kinda worked but they definitely aren’t as cute as the ones in the original post. That being said, we have some modifications we would try if we were to do them again. Read on to find out how we made these little holiday suckers! 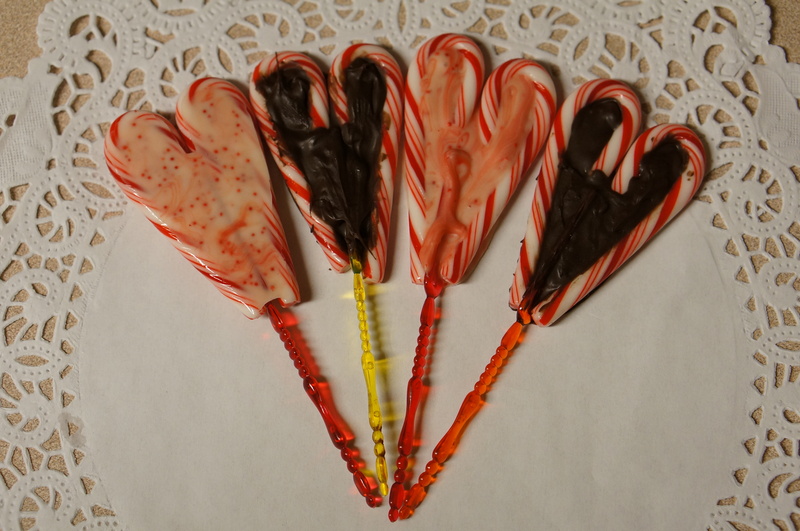 To make these lollipops, you’ll need some mini candy canes, sucker sticks (we couldn’t find any so we used party picks), and chocolate to melt. We thought we would be clever and use the melting chocolate you use to dip strawberries in. Lay out your candy canes in heart shapes on some aluminum foil. We found that our candy canes were almost too curly, and didn’t make as cute a heart shape as we would have liked. Be sure to look out for that when you’re shopping for ingredients. Next we put a few pieces of the chocolate into a sandwich-size ziplock bag and microwaved it in 30 second intervals until it was completely melted. We snipped off the corner of the bag and tried to fill the candy cane hearts with the chocolate, but for some reason the chocolate was REALLY hard to handle. It cooled too quickly and didn’t look smooth or pretty or fill in the whole heart. All in all, it was an abysmal failure. We decided to get creative and use some of the Peppermint Hershey’s Kisses that we had lying around from when we made Peppermint Kiss Brownies instead of the chocolate. We used the same technique to melt them in the microwave, and they were so much easier to use! 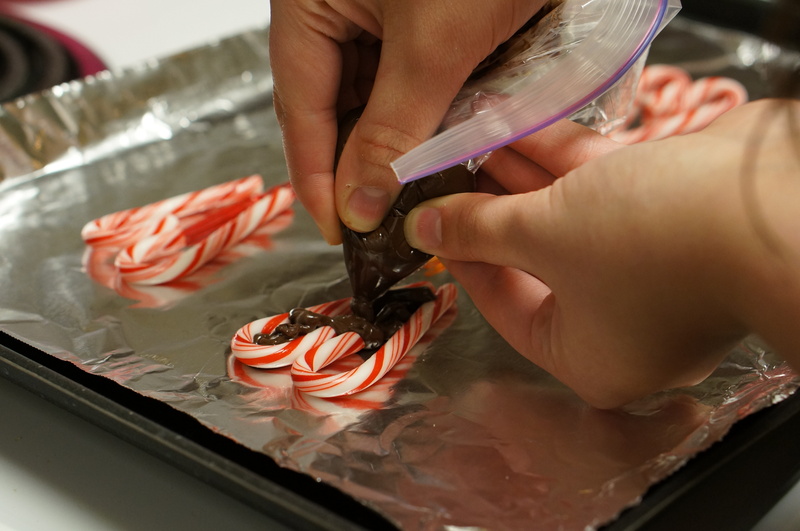 Since Peppermint Kisses are probably in short supply right now we suggest trying this with regular Hershey’s Kisses. 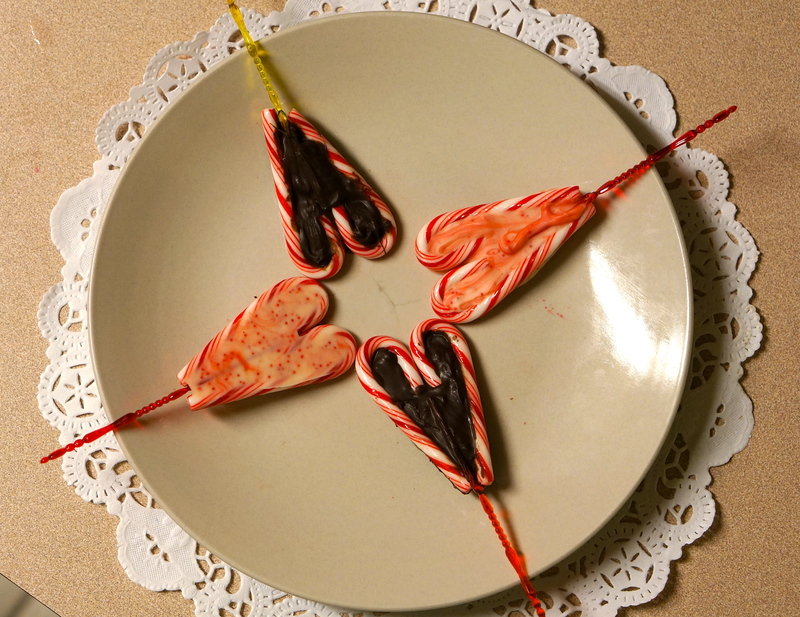 After filling them in, Stick the party pick into the chocolate between the candy canes at the point of the heart. At the end of all this, we wished that we had thought to get Valentine’s Day sprinkles to decorate them with. The sprinkles would have covered up the not-so-smooth chocolate and made the lollipops cuter. Overall, we weren’t very impressed with this Valentine’s Day pin. It took quite a bit of work and the results didn’t come out as cute as the original pin. To be fair, the pin actually worked out a little better than we expected- we thought they would completely fail but they only failed a little bit! We also aren’t really sure how to go about eating them. They are a cute idea, but not all that easy to eat. We think that if we did it again and tried a little harder they would actually come out nice! 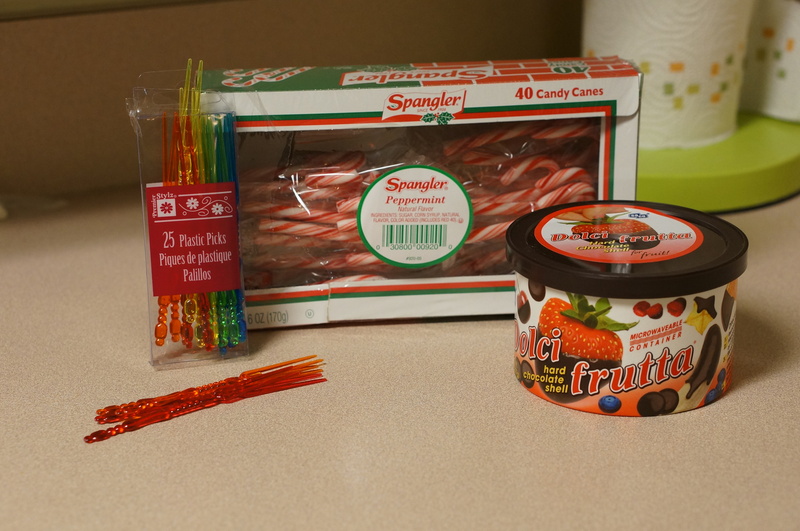 If we were to do it again we would use less curly candy canes, different chocolate, and sprinkles. If you figure out any improvements of your own let us know in the comments below! Shenanigans thanks for trying these out, I won’t waste my time! I’d rather try the cute easy ones. And you have a lot of them! If you guys ever want to find lollipop sticks (also the sticks I use for cake pops) go to Michael’s in the fancy baking section (that is also where I get Wilton’s candy melts to make the outside of the cake balls…it’s a fun way to use color in recipes, like this one if you wanted pink insides to your hearts! The candy melts tend to set better and a bit faster than chocolate)!